Campaigning a VY commodore Ute, powered by a 5.7 litre v8, Geelong based Richard McNay and Aaron Blacksell #564 have plenty of fun in their Class 5 machine. Basically a daily road car, the commodore has a standard front and back end which is supported by heavy duty springs plus the reliable Murray Coote shocks which aid the ride. Although it’s not all hard going for Richard and Aaron, who possess the comfort of powered windows and air-conditioning, which they regularly use! Originally starting out as a damaged tradies ute purchased from the auctions for a bit of cheap amusement, years later the only changes to the vehicle have being a power boost to a LS1 V8 and a new 6 speed transmission. 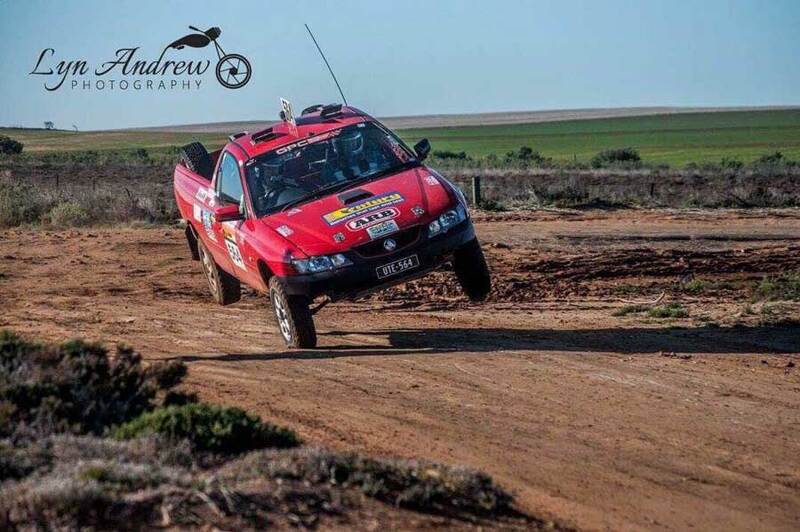 Over the years Richard and Aaron have forged their own passion for off road racing and in particular a love for the iconic long weekend event. 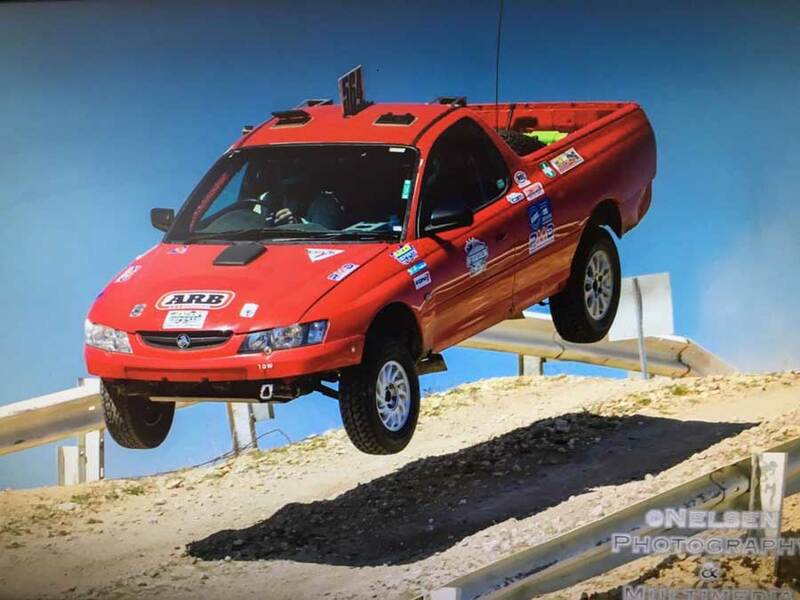 Richard has plenty of racing experience under his belt, including a maiden ARB Class 5 championship in 2015, numerous Mallee Rallys, three Condo 750’s, and multiple Rally appearances in a separate Commodore. One thing is for sure the sturdy old commodore has taken a hammering with a race or two left in her yet. With a race career which started in auto cross and rallying in the 1980s it wasn’t until 2006 when Richard met the green light at Sea Lake; race he hasn’t missed since. Trusty navigator Aaron has been in and around off road himself from an early age; this weekend he will sit alongside Richard as they search for a second podium finish as a team. Richards love for the sport grew in a year when he no longer owned a rally car, the old VH Commodore was going to be useless for anything else so he thought it may as well bash it around with Aaron at Sea Lake. A major breakthrough for Richard in the Mallee township came in 2013 where he punched above his weight to claim a famous Class 5 win. A special moment for the team considering a majority of their opposition campaign highly fancied trophy trucks. Another highlight was their third placing in 2016 which was Aaron’s first Sea Lake trophy after 30 odd years competing - something Richard loved being a part of. Finishing the gruelling event is an achievement in itself, and in 2017 they managed to do so even with two broken driveshafts, which slowed their progress; fourth in class was their reward for their dogged determination. Richard and Aaron are aware of the challenge Sea Lake presents for their Holden ute, which battles terrain that it wasn’t designed for, though they both love the fast open flats which suits their vehicle to a tee. The rough sections and heavy sand combined with no ground clearance and a front mounted radiator makes for quite the ride. 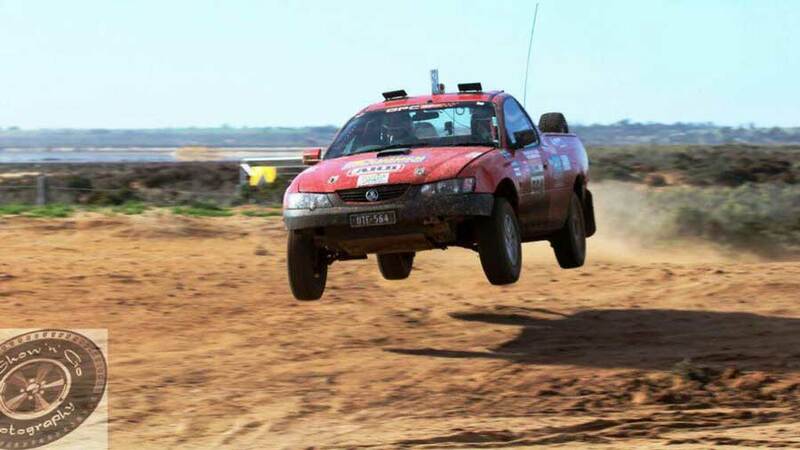 Both Richard and Aaron still regularly compete in rally events across Victoria, though this year have the Mallee Rally and Sunraysia Safari in their sights, looking to overcome an early season disappointment at the Condo 750. Macs Action Vehicles, Richard’s business, props the funds to get to these events, along with Aaron’s support - it is a team effort. Richard and Aaron love the Sea Lake track, but more than most it’s the Committee, great people, great friends, motor racing, laughs and community spirit that draws them back each year.